Effective leadership-or lack of it-makes a critical difference in the conception, implementation, and endurance of community endeavors. In his travels as an environmental consultant and lecturer, Chris Maser has seen the dilemma many times: "I have taken part in so-called community visioning processes, in which it was patently clear that the people conducting the process knew nothing about a vision, or how to create one. 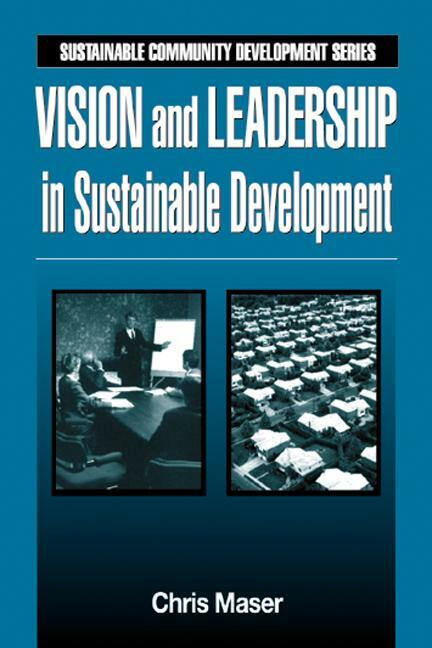 "It has been my experience that the vast majority of people cannot lead because they do not know what the inner qualities of leadership are…"
Vision and Leadership in Sustainable Development explores the seldom-considered philosophical basis behind the models and methods of leadership, pointing the way to the essential qualities it takes to establish a shared vision of community life. Divided into two parts-shared vision and leadership-Maser explores numerous issues and considerations to cultivate well-rounded leadership, and provide a more substantive blueprint for local activism. As with the previous and forthcoming volumes in the Sustainable Community Development series, Maser recognizes the increasing importance of local communities to take charge of the issues most directly affecting the environment. Why Is a Shared Vision Important? What Legacy Do Our Children Want Us to Leave Them?